Current Projects - Linda Lee Remba Consulting Inc.
Linda Lee Remba Consulting Inc. works on multiple projects throughout most of the year. Read more about Linda Lee’s current clients and the services they are using, and reach out on the Contact page for her current availability. You can also read more about Linda Lee Remba Consulting Inc.’s recent clients on the Recent Projects page. Sarah Richardson is a real estate Sales Representative for Cloud Realty, a brokerage based out of Ontario, Canada. For over a decade, Sarah has been working with her clients to lease and buy homes and commercial properties in the Greater Toronto Area (GTA). Linda Lee has been working with Sarah on her initial website setup, outline, content, and structure, and is building Sarah’s site. "Proficient and extremely knowledgeable. Linda Lee was able to give great insight into not only the type of site and outline I needed but was also able to help me decide what content was relevant and how to incorporate it into my site. 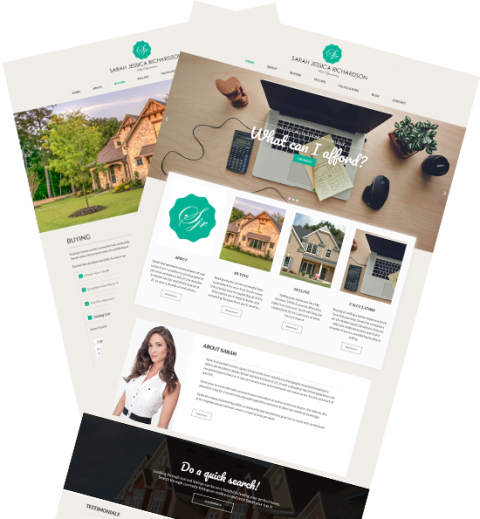 With her guidance and input, we were able to create a site that goes well beyond a standard real estate website. When I was having trouble with the images, Linda was able to find me excellent imagery that worked very well. I highly recommend Linda to anyone wanting a professional experience."